I know what you’re thinking. How could being a multilingual parent, be a hindrance in your quest to raise multilingual children? How could it be anything but beneficial? 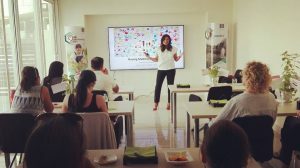 After all, you are in a unique position to understand your children’s struggles and are in the best position to guide them to becoming multilingual speakers themselves. I speak from experience when I say that being a multilingual parent means it can be both: helpful and a hindrance sometimes. Ironically, as a multilingual parent trying to raise multilingual children, sometimes the biggest hurdle I face is…me. This may sound surprising, but when you think, speak, act and even dream in more than three languages, it is hard to stay consistent in one language. Traditional research and methods show that consistency is the most important factor in passing on your language to your child. Everybody will tell you that if you want your child to learn your minority language, you must insist on speaking it, being answered back in it and maintain a certain amount of exposure to the language for your child to be able to master it. As a multilingual parent, who grew up bilingually in Pakistan and the United States, I am a native bilingual speaker of Urdu and English. In addition I can also speak fluent Hindi and German, speak and understand Danish and Italian, and read Arabic. My husband is also a multilingual parent, who grew up bilingually in Germany. He is a native bilingual speaker of German and Italian. In addition he is also completely fluent in English, Spanish, and French and has a good working knowledge of Afrikaans and Urdu. We currently live in Dubai where our children are learning German and Urdu at home, English and Arabic at school, and Italian from grandparents and visits from friends and family. (Several other languages like Danish and Mandarin which our family has been exposed to given our expat lifestyle, are not currently in use on a daily basis, although they pop up every now and then). You can relate to them. You can relate first hand to their challenge of juggling with several different languages, because you are used to doing the same. Multilingualism is your natural state, so it is easier to raise your children as multilinguals more instinctively. It doesn’t feel like you are ‘burdening’ your children, because speaking more than one language is the norm for you. You know that helping your child master several languages will help them tremendously in life.You also realize the challenges involved and can speak about it or share your own experiences to help your kids through difficult phases. You can help them on a practical level. You can help them with grammar rules, explain what different phrases mean and help them read in more than one language. You can help them with their homework or their presentations and actively share your knowledge and interest in a particular language by exposing them to books, TV shows, music that you grew up listening to. You can show your children how speaking a language can help open doors for you. 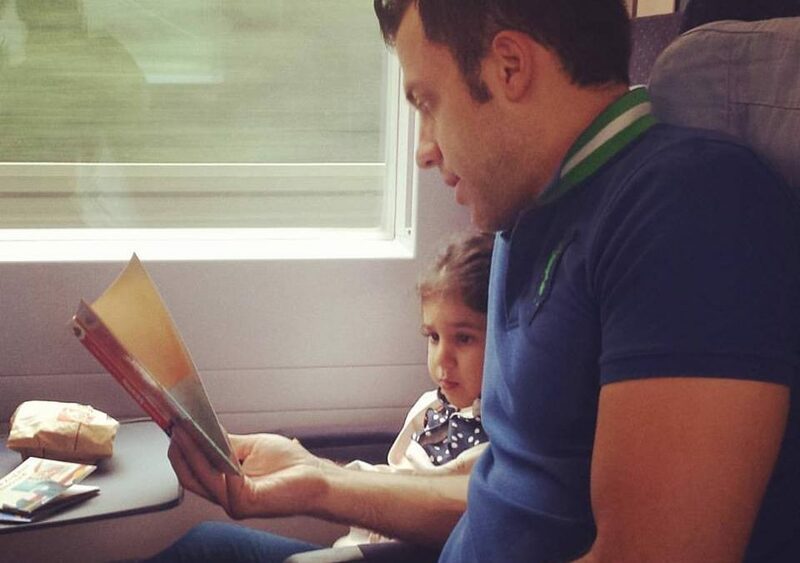 Being able to offer this kind of practical support is vital and helps your child during his/her multilingual journey. You can be simultaneously more pragmatic and flexible. When you speak different languages yourself, you can appreciate both the intrinsic value of learning a new language (the value in and of itself of speaking a foreign language) and the instrumental value (valuable because of what it helps you to do). You realize that language is a tool for communication and it helps you be both pragmatic in your approach to raising multilingual children (and set realistic goals! ), but it also helps you to be flexible in your approach and realize when you may need to switch gears or change strategy. You can teach them first-hand about code-switching between different languages. You are able to teach your children what it means to be multilingual through helping them code-switch between different languages. Code-switching is a complex language phenomenon in linguistics, whereby a speaker alternates between two or more languages, in the context of a single conversation. For many multilinguals, code-switching is an inevitable consequence of speaking multiple languages and using more than one language to express themselves. If your kids hear you code-switching, they are more likely to pick this skill up too. Consistently trying to speak only one language with your kids (if you are following ‘One Parent, One Language’ for instance) can feel unnatural and difficult: As a multilingual, I struggle greatly with this. I am a native bilingual speaker of two languages as well, which means constantly switching off one side of my brain does not feel natural. The reason many multilinguals parents feel like this is because as a multilingual, you have learned to “yield” linguistically to whatever others are saying and switch gears. It does not feel natural for you to stick with a single language, and yet for the first time in your life, you must. So you struggle more than a monolingual parent would in staying consistent and only speaking one language to your children. Your languages are not always equal: You might favor one language over another. You might even have an unconscious bias. It will be much more difficult if you choose to speak your mother tongue to your child, but find you are much more comfortable explaining math or geography in your academic language. This is another reason why I struggle: I speak Urdu with my children, but having attended British and American schools all my life, my academic language was always English. I cannot explain the solar system to my daughter purely in Urdu, because I tend to borrow heavily from English. 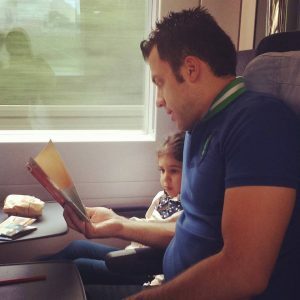 My husband who is a bilingual speaker of both German and Italian, sometimes struggles to explain his work or aspects of his job to his parents, without using English words in between. Code switching is claimed to harm consistency and proficiency: I have yet to see a comprehensive study with sound empirical data that proves that code switching between languages affects your child’s proficiency negatively and adversely impacts their language learning. Yet traditional wisdom within multilingual circles argues in favour of staying consistent and not code-switching in front of especially young children. There are times when I have wished I was not a multilingual speaker myself, it would be a lot easier to stick to one language and focus on my children’s proficiency in it. But I have realized that code-switching is a lot more rampant in some cultures over others. In Pakistan, we code-switch constantly: we might start a joke in Urdu, switch into English and then deliver the punch line in Punjabi for full effect! I do not know if my frequent code-switching will be harmful for my kids and their language goals in the long run, or beneficial in teaching them truly what being multilingual is all about. 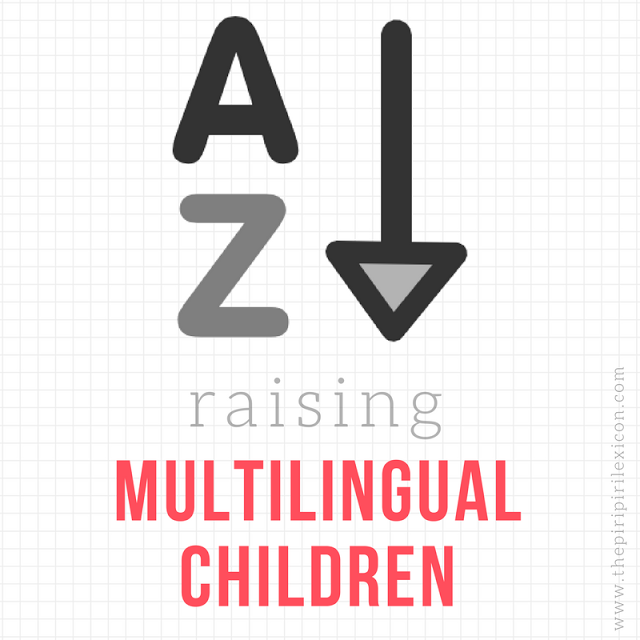 Being a multilingual parent puts you in a unique position to raise multilingual children. 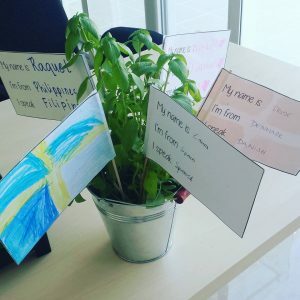 Together my husband and I agree that collectively knowing eight or nine different languages is really helpful in raising our two children multilingually. We can help them sing in Italian, read in Urdu, converse in German, write in English and practice their alphabets in Arabic. But being multilingual parents also presents its own set of challenges, as I have attempted to outline above and can complicate your decision making process in choosing languages, language models and strategies. 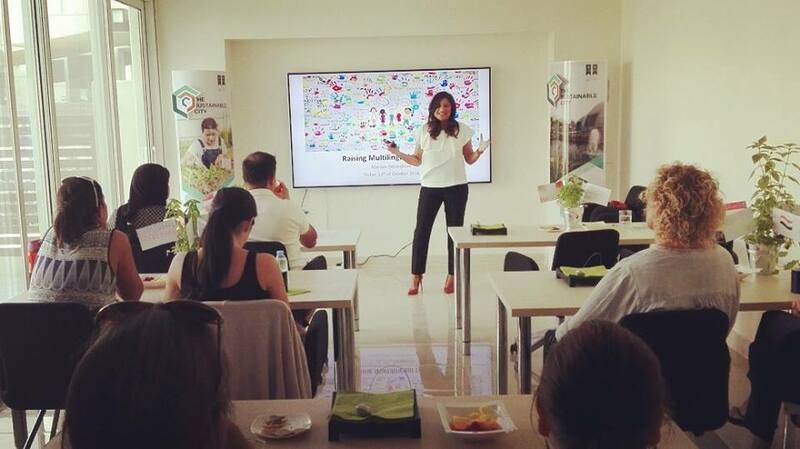 Giving a talk to other multilingual parents raising multilingual children in Dubai, UAE. Acknowledge that your role as a multilingual parent can be both helpful and a hindrance, depending on your personal circumstances. Be aware of the drawbacks and potential hindrances and actively address them: if it is code-switching you are concerned about, do not deny what comes naturally to you, but rather find a practical way to mitigate it, such as situational code switching (i.e. at home we only speak this, at school it is ok if we speak that). If you are worried you are wasting your time speaking in Fijian or Icelandic to your children, ensure exposure to a more practical language (such as an English-medium school), while also keeping in mind that a majority language never requires reinforcement from your side, your children will learn it automatically, so you might as well focus your energy on the minority language. In the end, you have to decide what is best for your family. And also remember that you yourself mastered the path of multilingualism with a few ups and downs, so your children will as well. This month bloggers from all around the world are coming together to write about the “A to Z of Raising Multilingual Children.” This series is full of tips, insights, strategies, challenges and stories from parents who are raising bilingual or multilingual children around the world. ‘And Then We Moved To’ is excited to be covering H for “Helpful or a Hindrance” as part of this effort. Don’t miss this wonderful series all throughout February here on the The Piri Piri Lexicon. Very helpful and instightful article. I can relate to struggling with which language to speak. Sometimes I get tongue tied in English and French and end up with a sentence in Franglais. My family is also multicultural and multilingual living in Paris, France. I’m American and my husband is Turkish. 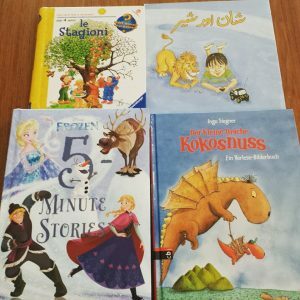 Our common language is French, we are currently focusing on 4 languages (English, French, Turkish and Arabic) but we hope to include (Kurdish and Zaza, my husband’s two other native languages) when our kids are older. I have to agree that having a multilingual family is sometimes a challenge, but the benefits outweigh the challenges. I will be launching my website, The Multilingual Home, in mid-April 2017 where we discuss our multilingual adventures in homeschool, expat life and travel. Since you move around so much, do your kids attend school or do you homeschool them ? Hi Adrienne, lovely to her from you! And your multilingual and multicultural family sounds so much like ours 🙂 Its great to hear that you are bringing your kids up with 4 languages too and yes we both know what a challenge that can be! I would love to check out your website when its up, sounds very interesting. Yes our kids attend school, even though we move around a lot.